Award winning wineries throughout the Santa Cruz Mountains and along the central coast feature tasting rooms and regular special events. Visit historic cellars and view beautiful mountain settings while sampling some of California’s finest wines. Join wine tours and passport weekends throughout the year. Armida handcrafts over ten different wines and features some of the best vineyards in California, including Maple Vineyards Zinfandel and Maple Vineyards Tina’s Block (perhaps California’s BEST Zinfandel vineyard). From their seven-acre estate vineyard they produce Il Campo (“Field Blend”), a delicious combination of Zinfandel and Petite Sirah. Armida also produces the fun and popular POIZIN (Zinfandel) “The Wine to Die for,” and ANTIDOTE (Pinot Grigio). 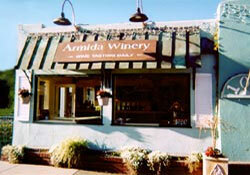 Check out their tasting room in Capitola Village to try their wines and their warm, friendly hospitality. 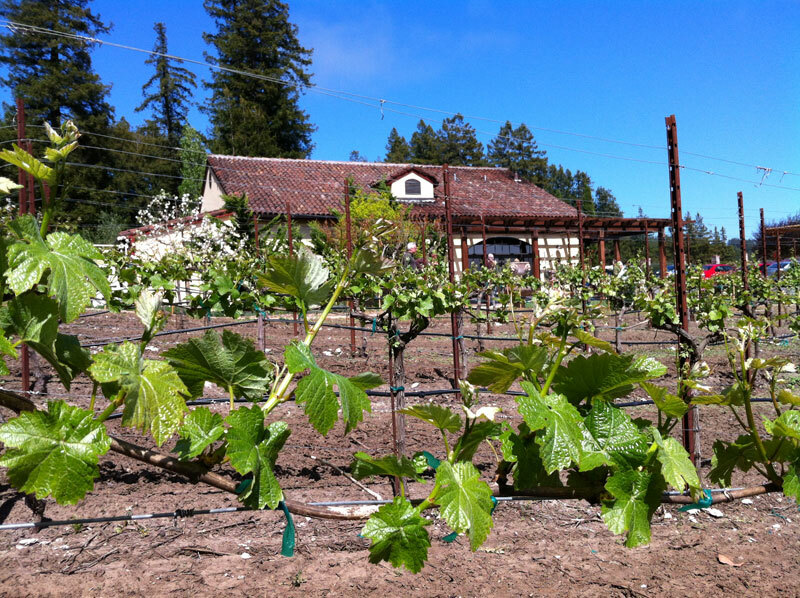 Bargetto Winery has been producing wines in the Santa Cruz Mountains since 1933. The founders, John and Philip Bargetto emigrated from Piedmont, Italy and brought with them their dedication to family and a commitment to producing quality wines. 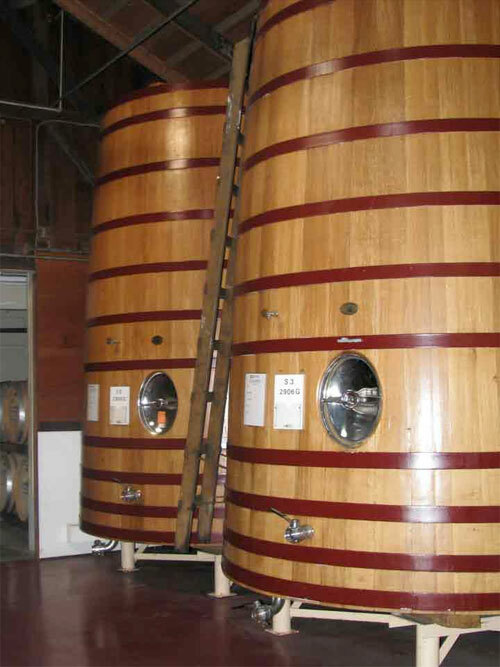 Bargetto Winery is the oldest continuously operating winery in the Santa Cruz Mountains. The family has been producing wine for over 75 years. Today, Bargetto Winery is operated by the third generation who produces award-winning wines from its estate vineyard in the Santa Cruz Mountains. Bargetto Winery produces Chardonnay, Merlot, Pinot Noir and specializes in northern Italian varietals such as Pinot Grigio and Dolcetto and also produces an Italian-style blend, La Vita. Premium fruit wines made from local fruit and honey are produced under the Chaucer's label—including Blackberry, Raspberry, Pomegranate and Mead. 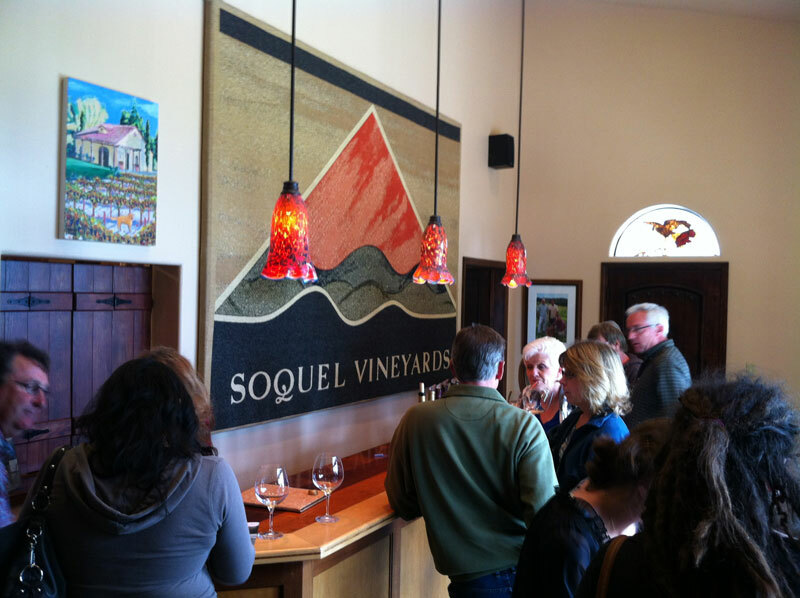 You are invited to visit our charming wine tasting room and courtyard overlooking Soquel Creek. The courtyard, cellars, and the new La Vita Room are available for private events. 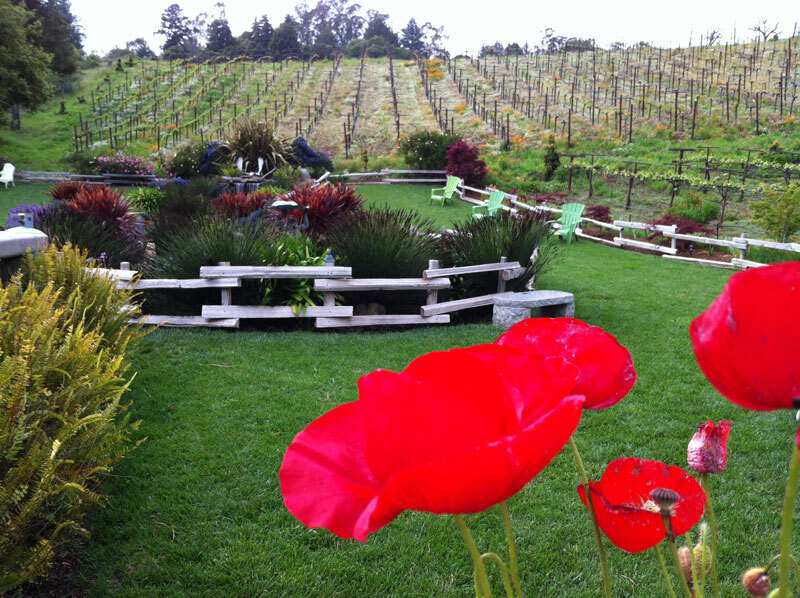 The beautiful grounds of Hunter Hill Vineyard and Winery have been home to the owners for over a hundred years. High in the Santa Cruz Mountains above Soquel, the vineyards enjoy sunny days, moderate nights and a long, cool growing season. 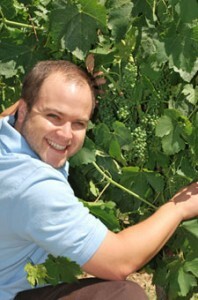 Grapes ripen gently here and develop a depth of flavor that is distinctive to meticulous dry farming. Hunter Hill wines are clean, fruity and finished. Through each step of the process, from hand pruning the grape clusters through delicate fermentation and graceful aging on American and French Oak, the wines of Hunter Hill are nurtured by an expert craftsman. The winemaker, Vann Slatter, follows a simple guiding principle: great wines are easy to make with well-loved, beautiful fruit. It is a philosophy that has brought a sophisticated audience and top-tier acclaim to Hunter Hill. Hunter Hill’s 2002 Syrah beat out wines from 600 California wineries to receive the prestigious Golden Bear - a unanimous selection as California's Best Wine in 2005. Most recently, their 2010 Sangiovese was honored with a Silver Medal at the 2012 SF Chronicle Wine Competition. Visit the Hunter Hill tasting room and sample their remarkable Estate varietals. The Meticulously manicured grounds, numerous seating areas, a waterfall and stream that leisurely drain into a large centerpiece pond and rolling hills covered in vines are a perfect backdrop for sipping wine. Pelican Ranch Winery is a small, family owned and operated winery specializing in Rhone and Burgundy style wines from the best vineyards in California. Established in 1997, the winery is located a short distance from Monterey Bay which provides the constant, cool, coastal influence that allows for controlled, slow fermentation. The result is rich, full-flavored, complex wines. Pelican Ranch wines are labeled according to their single-vineyard designation. Production is limited to 100 cases from each vineyard. 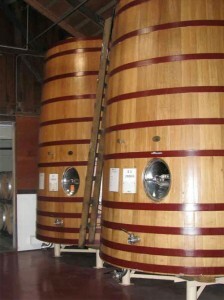 The winery began commercial production in 1997 in a shared space in Scotts Valley. February 1, 2011, marked the opening of their new facility in Capitola. Owners Phil and Peggy Crews love their location with its easy access off Highway 1 and proximity to quaint Capitola Village. Pelican Ranch is easy to find whether you're a local or a weekend visitor. The relaxed atmosphere of the tasting room, coupled with fun, knowledgeable staff and great wines, guarantees a wonderful tasting experience. Like the many-threaded Italian tapestry that covers the wall of Soquel's new facility, the story of Soquel Vineyards in the Santa Cruz Mountain is made many colorful and varied strands... of family, history and winemaking. 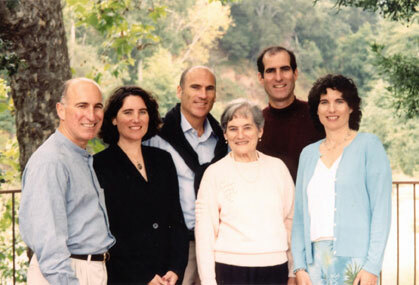 Twins Peter and Paul Bargetto, along with friend Jon Morgan, began the winery in 1987 after leaving the family winemaking business. Bargetto Winery, also in the Santa Cruz Mountains, was started in 1933 by Peter and Paul's grandfather John Bargetto and his brother, Philip. Soquel's new winery tips the hat to the Bargetto's Italian heritage with architecture that reminds one of Italy. But the brothers and Jon don't produce Italian varietals, preferring to concentrate on Cabernet Sauvignon, Chardonnay, Merlot, Pinot Noir and Zinfandel. They currently produce 4,500 cases sharing the responsibilities of winemaking and distribution. Though they are planting a four-acre vineyard on their new property, they currently source their grapes from various vineyards in Santa Cruz, the Russian River Valley and Napa. View a list of wineries in the area.